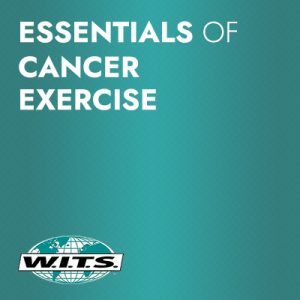 You do not need to be a Certified Personal Trainer from another organization to take this course. Whether you have been in the industry for years, or this is your first certification, this Specialist will prepare you to be the local go-to expert on training mature clients. 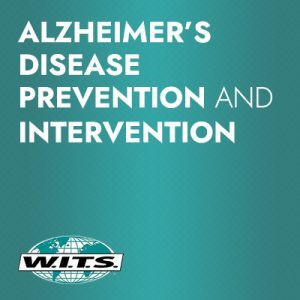 There is not another certification in the fitness industry that utilizes the Functional Aging Training Model for how to approach training for the mature population. This will be the credential of choice for years to come for those specializing in the 50+ market. MedFit Network members receive $100 off the Functional Aging Specialist™. The Functional Aging Specialist is the complete certification program for the serious fitness professional who is ready to become an expert in functional aging and training of older adults. You will receive in-depth training in: Functional training strategies and movements; How to conduct meaningful assessments of function; How to create and develop effective exercise programs; and Critical skills to be an effective professional with this client base. Upon completion of the study material you’ll sit through a timed online testing phase. 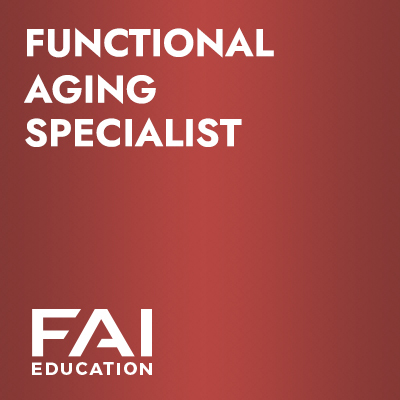 Upon completion and passing of the test you’ll be given a certification and the ability to use Functional Aging Specialist™ in your title and marketing material.